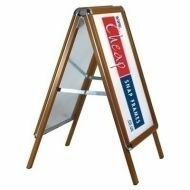 Our Oak effect A-boards look lovely, and give you all the handsome good looks of wood, but all the benefits and durability of aluminiuim. With our quick poster change system, strong aluminium and steel construction and easy fold away mechanism for night time storage, this oak wood effect Aboard a real winner. 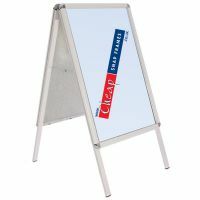 From only £80 + VAT and delivery.